A check engine light indicates a serious problem with your ignition, fuel or emission system. If this light comes on, it is a serious problem and needs immediate attention. When your engine stops running and your cars stalls, this could indicate a problem with the electrical system in your car or the fuel system. The engine is unable to ignite the gas in the car’s cylinders and requires attention from a certified technician. If your engine starts to sound like your watch, you may be having a problem with the car’s oil pressure. A damaged or clogged oil pump could be preventing oil from reaching all of the components necessary to run the vehicle. questions or concerns you have regarding your car.If you are experiencing engine trouble, our knowledgeable ASE certified mechanics can accurately identify and treat the problem using the most up to date tools and automotive diagnostic technology. Stop by today or call us with any questions you may have! 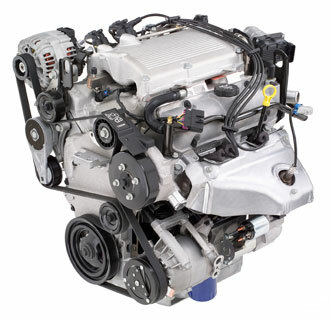 Engine maintenance can often help prevent costly engine repairs and keep your engine running smoothly. Routine engine maintenance, such as oil changes, tune-ups and factory maintenance, will keep your engine running at peak performance and increase its longevity. If you are looking for engine repair or service in Rancho Santa Margarita, our engine service shop can assist you. We guarantee our repairs. Contact us today to schedule an appointment over the phone! We look forward to serving you!Is your engine overheating? Is your engine making noises? Does your vehicle pour exhaust smoke? Since 1997, we have been providing the best engine repair in Rancho Santa Margarita. Our engine repair mechanics are fully-trained and experienced in all manner or engine services from repair to maintenance. Whether it’s a blown head gasket, leaky seals or piston rings, engine blocks or cylinder heads, we can fix it! We’re confident that you will be happy the service you receive.